Add luxury to your bedroom with the Catalina Super King Duvet Set. This four-piece oversized duvet set is accented with a seaside feel in aqua and white with button and striped accents for true coastal style. Ships from the manufacturer. Allow 1 to 2 weeks. 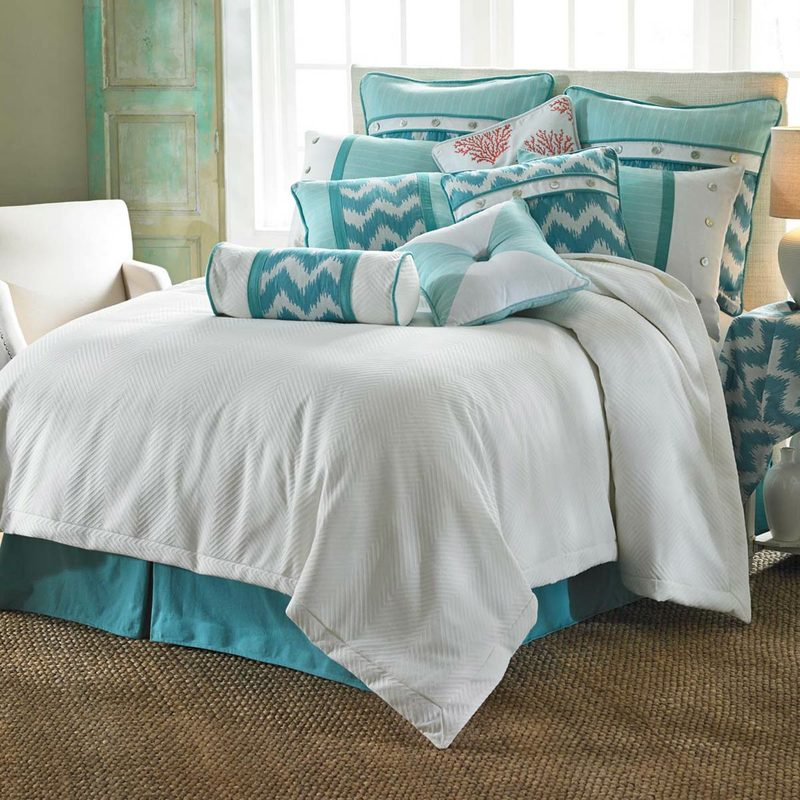 For further products, we ask you to make time to browse our comprehensive inventory of beach bedding at Bella Coastal Decor now.